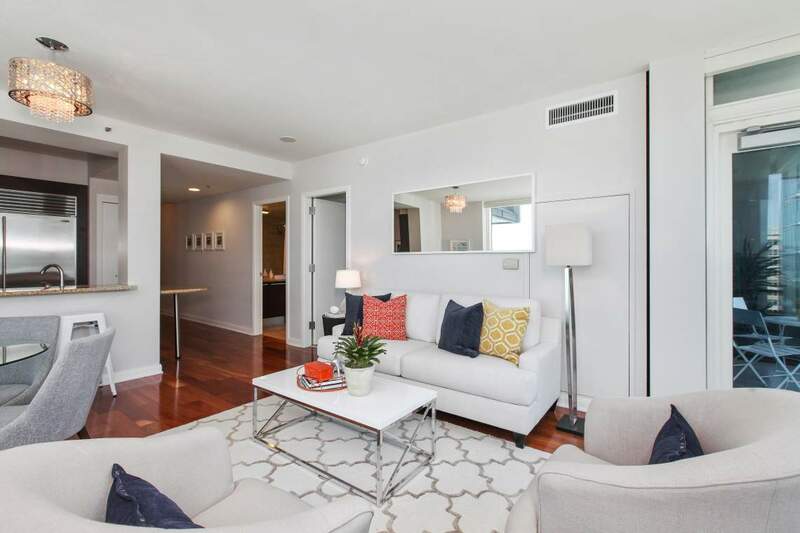 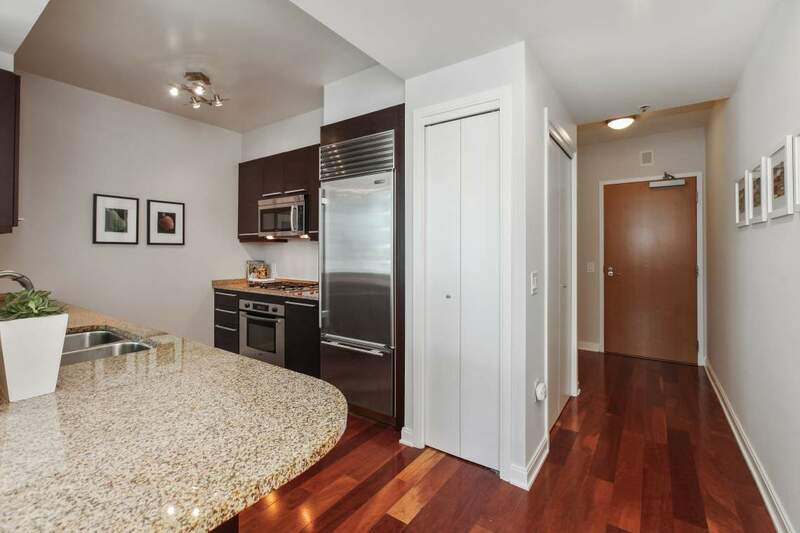 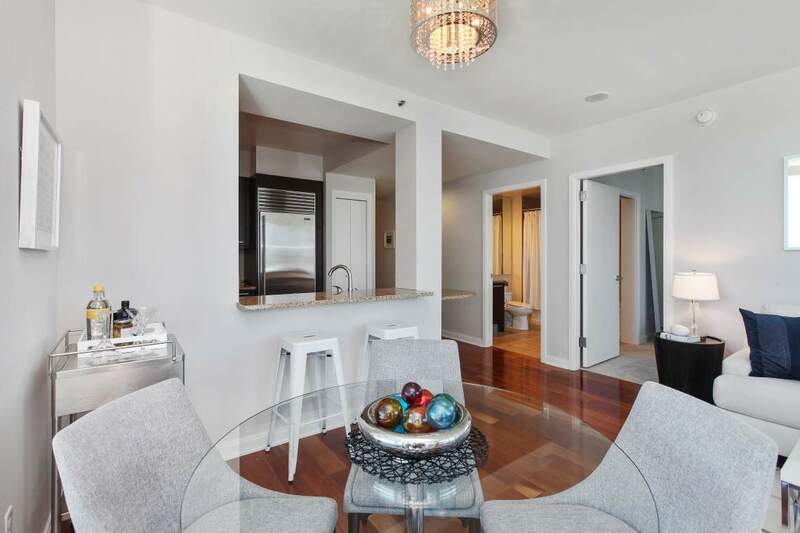 Unit #1107 is the most coveted northeast corner 1 bedroom, 1 bathroom unit in the building. 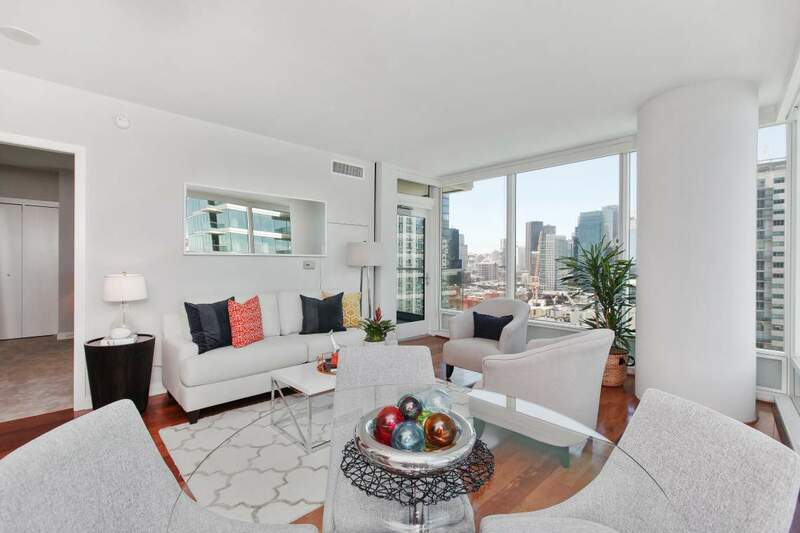 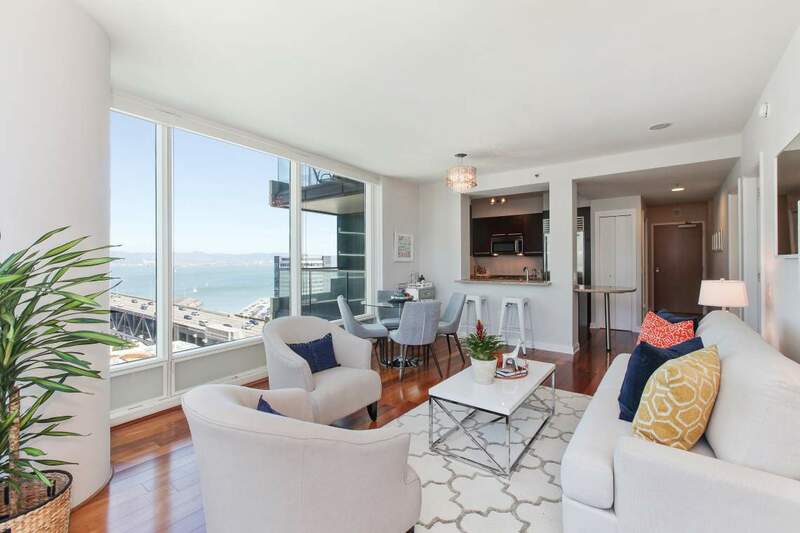 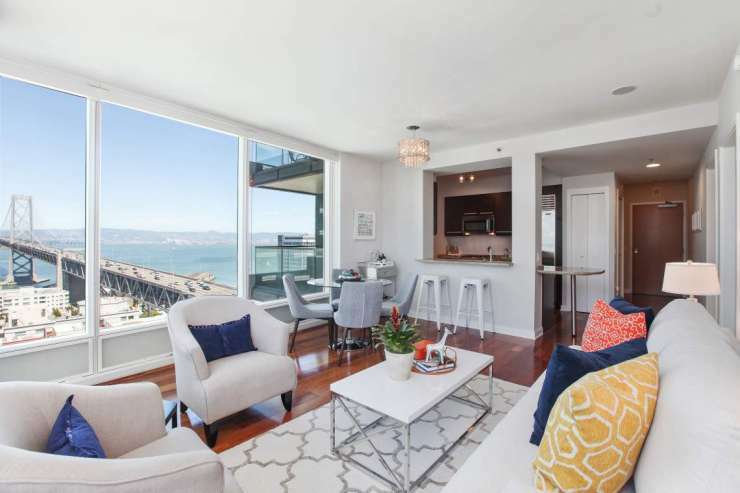 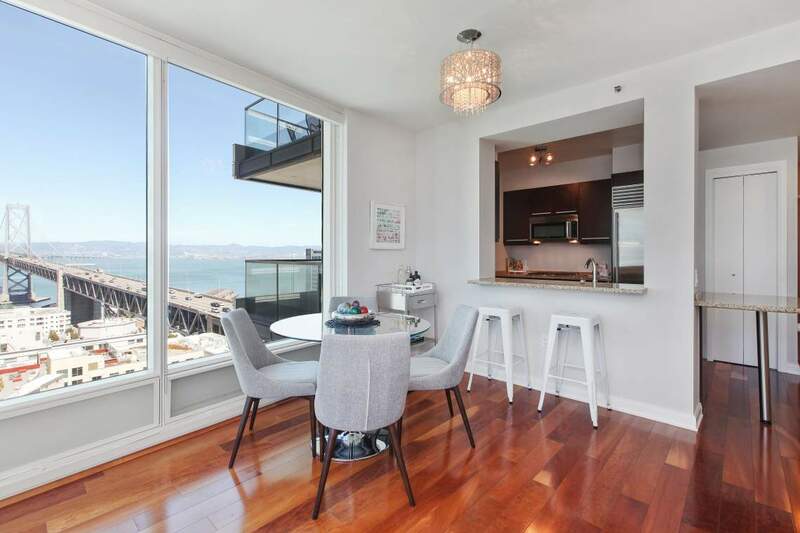 Perched on the 11th floor, this 07 floor plan home showcases stunning panoramic views of both the downtown city skyline and Bay Bridge through its dual corner floor-to-ceiling insulated windows. 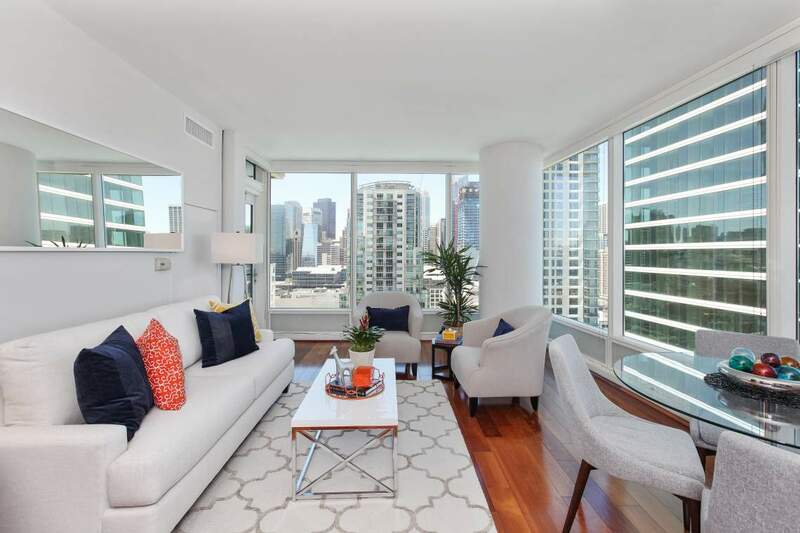 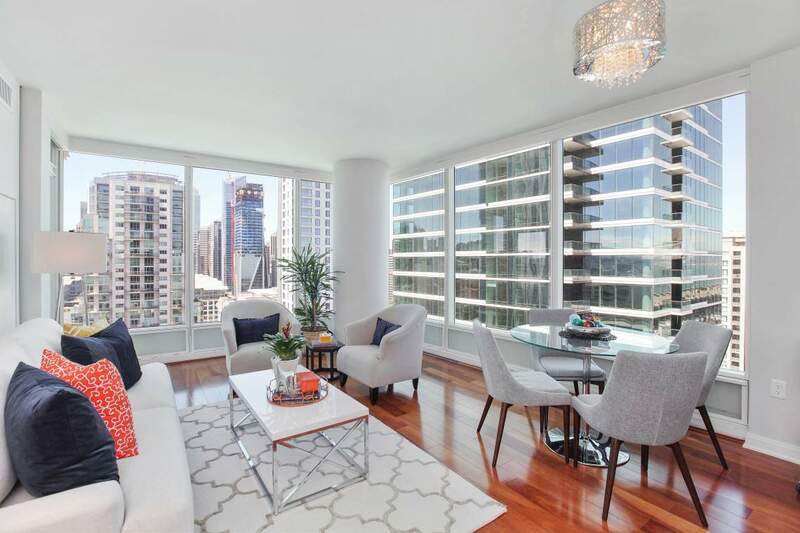 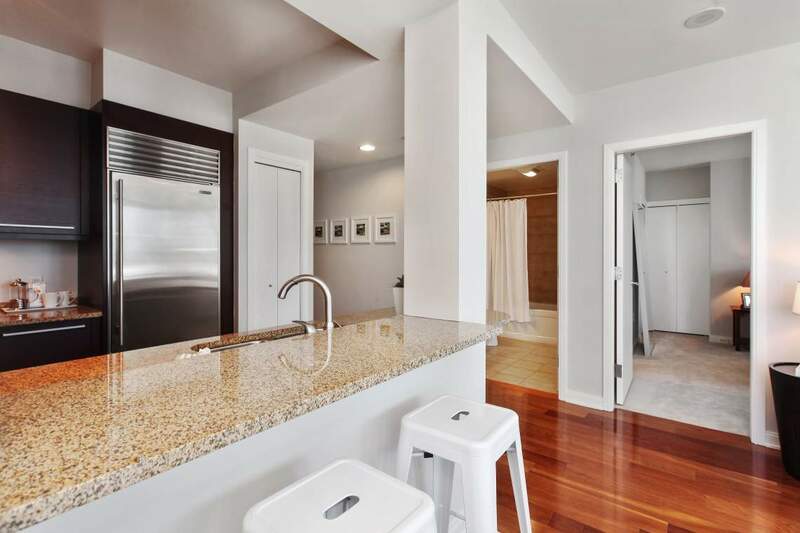 Style and sophistication exude from the highly upgraded condominium with a glass-enclosed balcony, an upgraded breakfast bar, cherry hardwood floors, custom lighting, and a custom glass shower door. 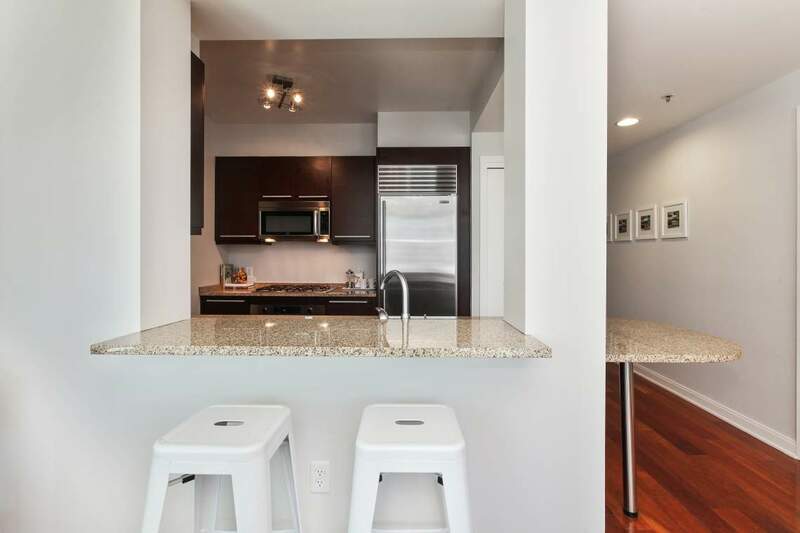 The floor plan is built for entertaining and open living. 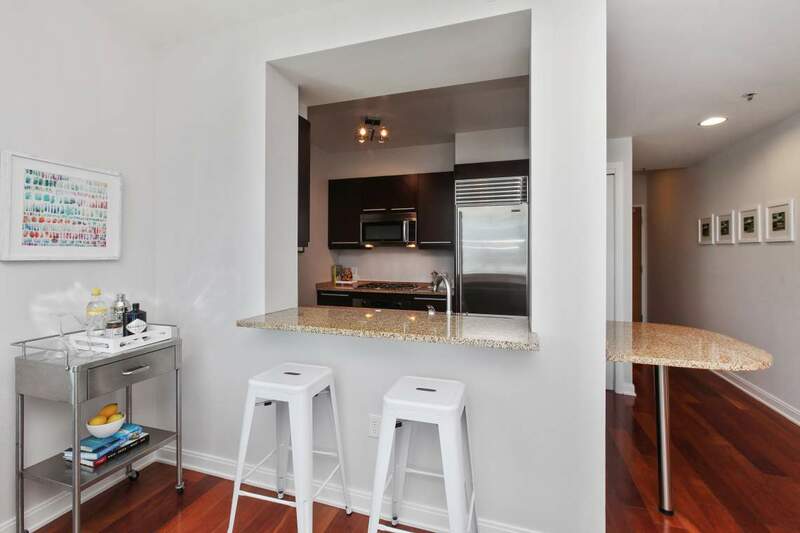 Interior amenities include an in-unit washer/dryer and high-end stainless steel Bosch and Sub-Zero appliances, and valet parking for 1 car is included. 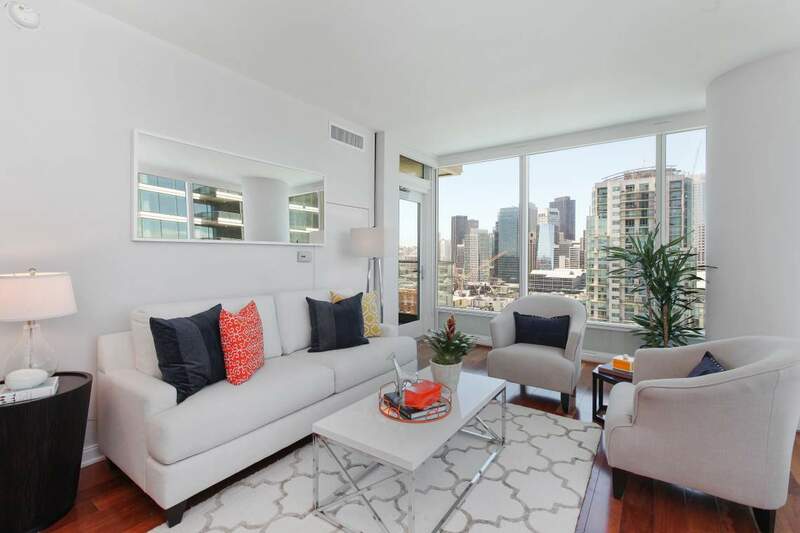 The One Rincon Hill development is a late-modernist style high-rise condo tower designed by architectural firm Solomon, Cordwell, Buenz and Associates. 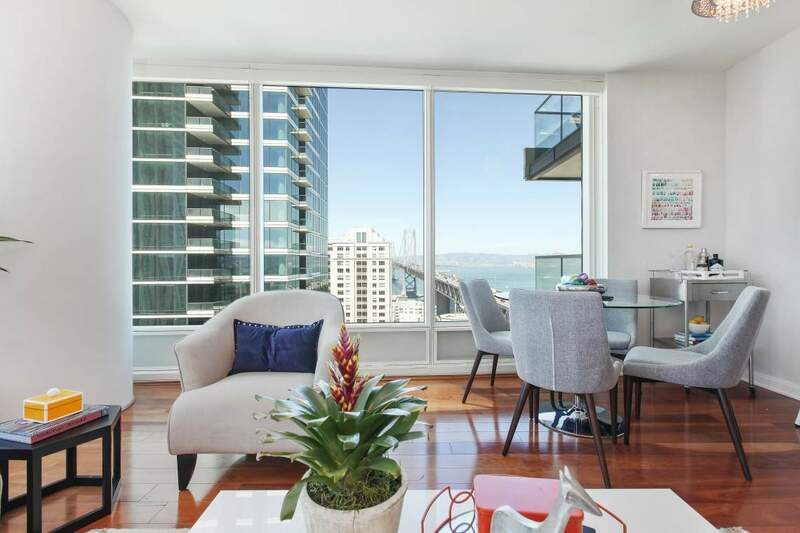 One Rincon Hill soars to 60 stories and offers unparalleled vistas of the entire city of San Francisco. 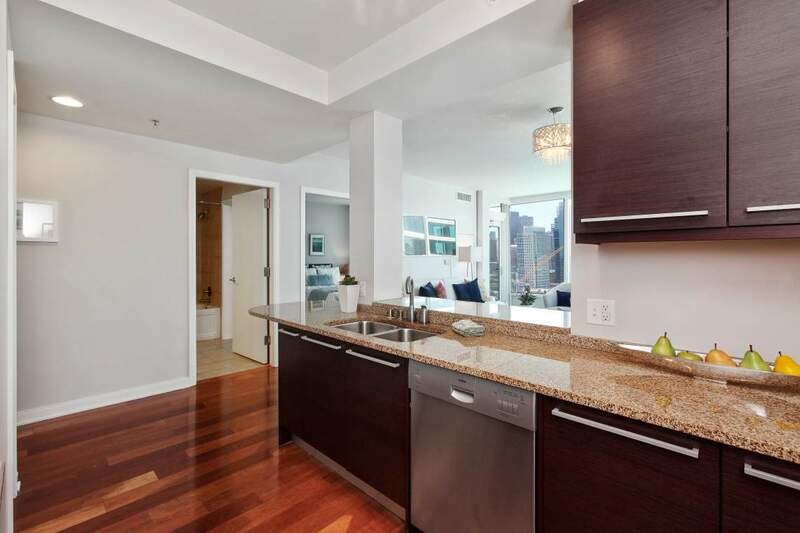 Ultra-luxury amenities such as a 24-hour doorperson; a concierge; full-service valet parking; a club-quality professionally equipped fitness center with steam rooms and showers; a full-size 73-foot outdoor pool with a soothing spa; a beautifully landscaped garden deck and large open grass area; a gourmet barbecue area with plenty of table seating to enjoy an afternoon lunch or dinner; an outdoor fireplace lounge with comfortable seating; and a reflecting pool with an infinity edge set One Rincon Hill apart. 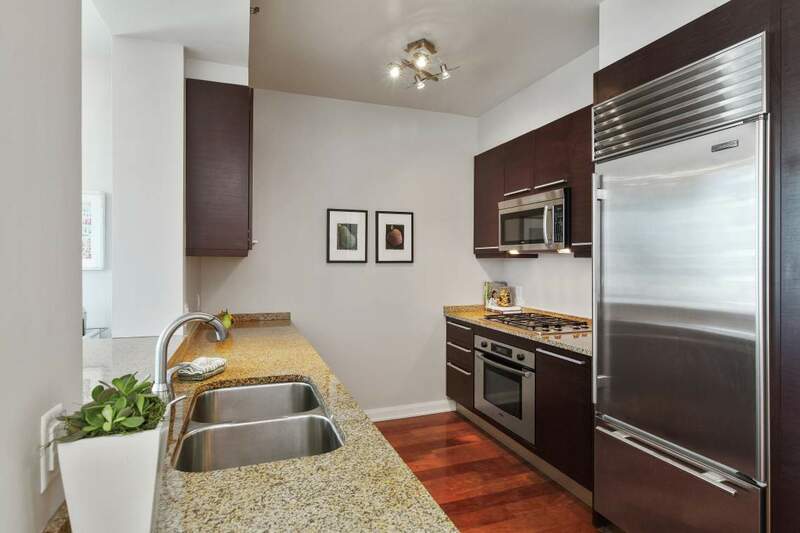 For pet lovers, One Rincon Hill is pet friendly. 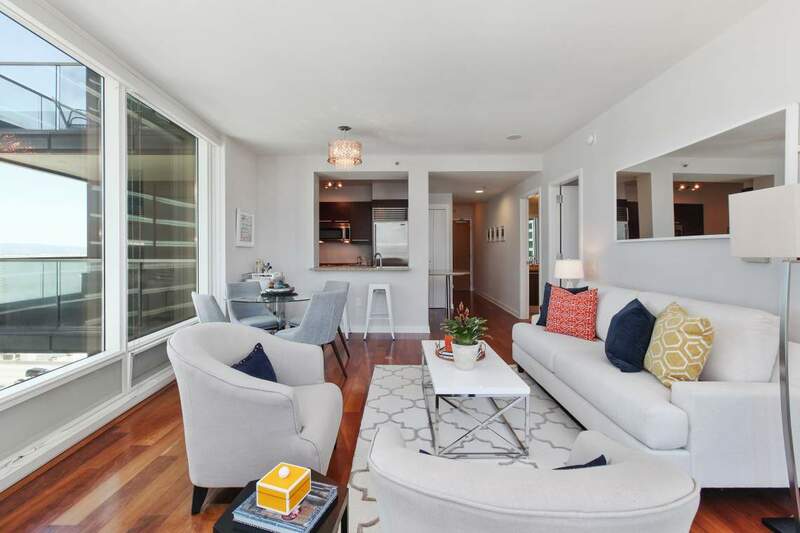 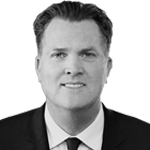 Perched dramatically on the top of Rincon Hill, next to South Beach and Financial District and blocks from the Bay Bridge, Highways 101, 280, BART, and Caltrain, One Rincon Hill’s prime location provides easy access to downtown, East Bay, and the Peninsula. 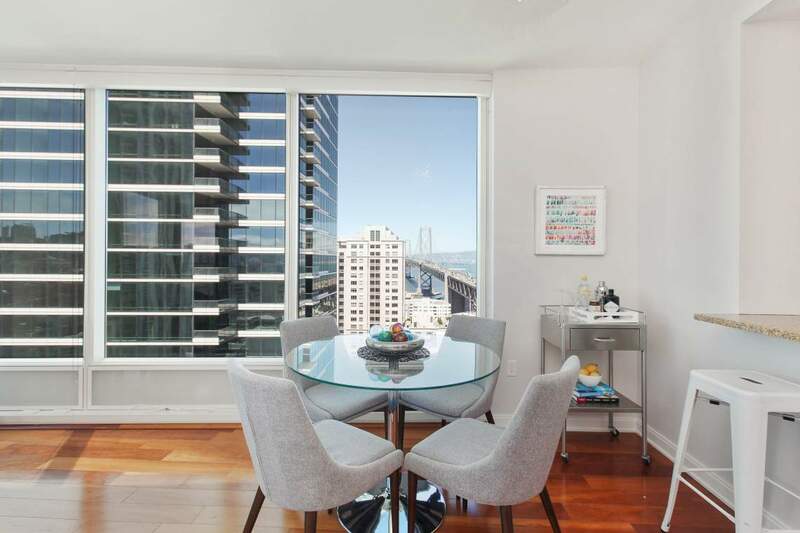 Many of San Francisco’s top restaurants, Union Square, AT&T Park, and the Ferry Building are only a few blocks away.